Amazing location & beautiful beaches. Thanks Mark !! Loved the entire experience. We enjoyed every moment. 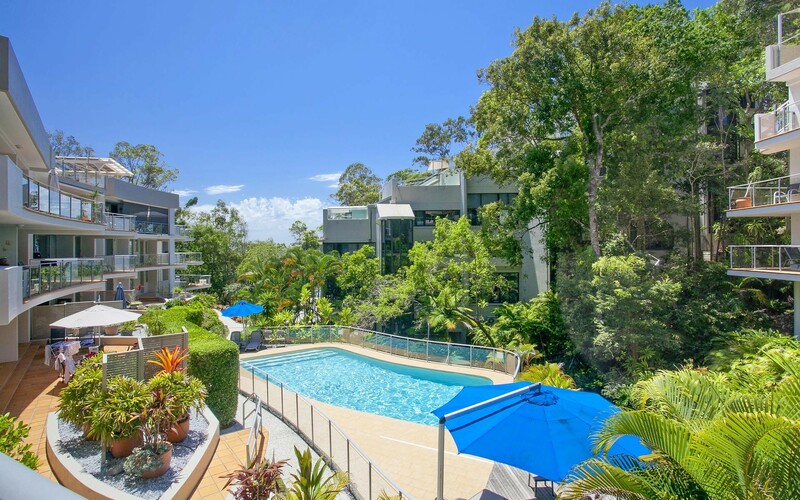 I just wanted to write and tell you how wonderful our stay in Noosa was at The Cove Apartments. Apartment 4 was perfect with our little boy, especially with the pool being so close so I could have a dip while he slept I didn’t feel trapped for the daytime naps! It was lovely lying in our courtyard and having a swim! The buckets and spades were a HUGE hit thank you and also the fact that you allowed us to use a spare room to shower and let our son sleep before we caught our flight was just very kind and generous of you. We loved it and had the best week – we will be back for apartment 4 next year! Thanks again. Unit 4 is a 2-bedroom, 2-bathroom pool and garden view apartment with great access to the pool and beach. It can be accessed via the paved walkway alleviating any steps and is ideal for families with young children and allows wheelchair access.